No doubt, we can easily search out dozens of schedule apps for iPhone or Android phones, but a dedicated tabletop daily schedule is very rare. Fortunately we find out DO IT LIST. 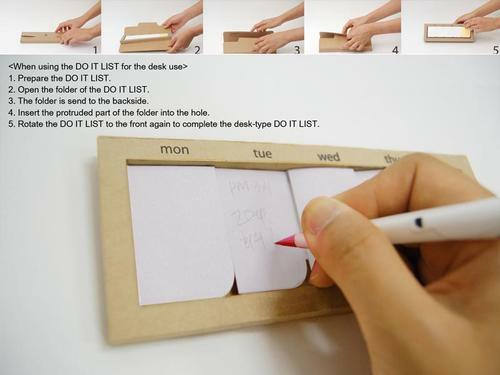 DO IT LIST is designed by Kang Chang Youn & Lee Seul Gi, two designers from Korea. As we can see from the image, DO IT LIST is an array of sticky notes, or we can say it’s an easy-to-use daily schedule. Five stacks of post it notes represents Monday to Friday. All you need to do is to jot down your todos on the post-it notes, and stick the notes on any place where you can easily see them in order that these real notes can remind you those important things to do. Besides, the daily schedule measures 230 x 85 x 15mm, and comes with 500 sheets of post-it notes measuring 40 x 50mm. 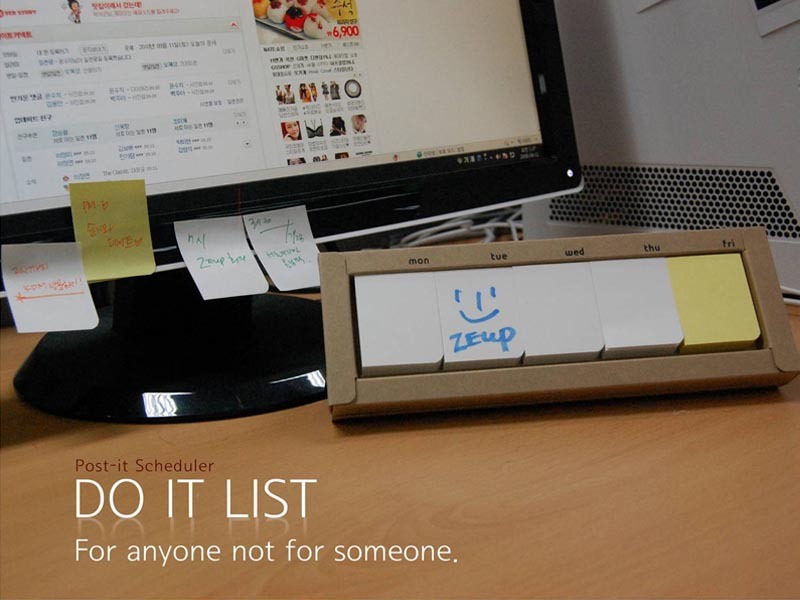 DO IT LIST daily schedule is priced at $6.5 USD. If you’re interested, jump to Connect design for more details. By the way, don’t forget to check another wonderful design called Watch Dairy Notebook from the same design website.